REAL MADRID and Liverpool are not necessarily the best teams in Europe at the moment, but one of them will be crowned champions in a few weeks’ time at the UEFA Champions League final in Kiev. Their progress to the final has been coloured by good fortune, sympathetic draws, controversy and simply good management. They deserve to be there, that’s for sure, but history will look back on the 2018 final as two teams who were focused and driven to get to the pinnacle. Good competition management. It won’t be the first time that the UEFA Champions League winners won’t be the top team on the continent. In 2004 and 2005 respectively, Porto and Liverpool were not the best, in 2010 and 2012, Inter and Chelsea were far from being Europe’s outstanding side. There’s a sense that the current Real Madrid line-up is past its best, but you cannot deny they haven’t had it hard – Tottenham, Dortmund, PSG, Juventus and Bayern Munich. If they’re not the top side, they’ve certainly earned their passage against some of Europe’s leading teams. Liverpool had a far easier time with a group that included Spartak Moscow, Maribor and Sevilla. They did score 23 goals in six games, so they were credible group winners. In the knockout stage, they disposed of Porto, Manchester City and Roma. The City tie marked them as potential finalists, an impressive double victory against the pre-eminent team in England, if not Europe. Liverpool have excited for most of 2017-18, notably in their destruction of Manchester City at Anfield, while Real have reserved their best for the silverware they covet the most. Liverpool’s UEFA Champions League campaign has certainly provided some pointers for the future. While Real are a team that will require some rebuilding in the near future, especially when Cristiano Ronaldo departs, Liverpool are a team in the ascendancy, if they can keep Jürgen Klopp, and of course players like Salah. Nobody hangs around too long these days, so talk of dynasties and Shankly 2.0 is inappropriate and outdated. A bad half season and Klopp’s lustre will soon be tarnished, such is the nature of modern football. And success in England will put Klopp in line for a big Euro role, possibly with a club like Real. Liverpool fans should not assume that the likeable German is for keeps. Their loss will be someone’s huge gain. On paper, Real Madrid versus Liverpool has a delightful retro feel to it, two grand old names of European football. Real Madrid are the club the European Cup was created for. Their president was, after all, part of the organising committee back in the 1950s. As Real went into something of a “decline”, Liverpool became the team of the mid-to-late 1970s/early 1980s – the new Real, if you like. When they met in the 1981 final, a dull encounter in Paris, Real were far from their peak years. 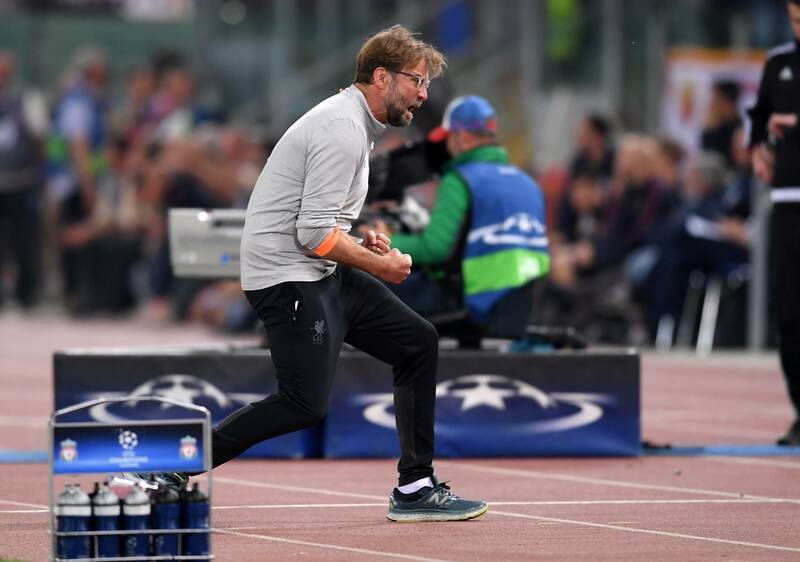 There is certainly something special about Liverpool and the UEFA Champions League – why else would they have reached three finals in the 21st century when they are 28 years without an English league title? Real have long since climbed back to the pinnacle of the game – consider that after winning their sixth European Cup in 1966, they had to wait 32 years for number seven. Since 2000, they have won five. Liverpool had a 21-year gap between 1984 and 2005, but let’s not forget they had to endure a ban during that period. At the start of the season, if a tipster said Liverpool would reach the final, he or she would have been laughed out of the tap room. But in historic terms, it is difficult to look upon the Reds as shock finalists. As their supporters are quick to remind the opposition, they are “European royalty”. A retro fixture it may be, but the final also represents something that is very modern – these are two of the world’s top 10 clubs and part of a European elite that can realistically expect to provide the finalists for almost every UEFA Champions League final. The past 14 finals have been won by members of this elite on 11 occasions. The last team from outside the accepted current “bulge bracket” was Inter Milan, and they are heritage members and only just beyond the cartel. Likewise, AC Milan (2007) is another grande marque of European football who may one day reclaim their place in the VIP lounge. Porto (2004) are the other club. The UEFA Champions League needs the likes of AC Milan, Inter, Benfica and Porto to become contenders again in order to remove some of the over-familiarity of the competition. That’s why Real Madrid again may induce a little yawn beyond the environs of the Santiago Bernabéu stadium. They won’t complain in Chamártin, though. UEFA will also be happy. They have a guaranteed sell-out in Kiev and two of the biggest clubs on the planet fighting it out for the most glamorous football trophy in Europe. Real Madrid know how to win the modern UEFA Champions League, Liverpool knew how to win it. The last time they won it without a penalty shoot-out was in 1981 when Alan Kennedy scored the only goal against Real. In the script that is Cristiano Ronaldo’s career, he is duty bound to provide the winning touch for what could be his finale in this competition. On the other hand, Klopp’s fizz-bang team might just provide another dramatic twist to the campaign. Liverpool 2018 do not do dull, cannot be as mechanised as past teams that have professionally ground-out European results. Liverpool’s past finals have rarely lifted you off your seat, 1977 was historic and impressive, but 1978, 1981 and 1984 were not exceptional games. The 2005 final was incredibly dramatic, a relatively limited team rising to the top and staging an unprecedented comeback. This Liverpool team is certainly more captivating than the 2005 side. There’s a growing feeling that the Anfield faithful, the “republic of the Kop”, may have to get some new banners made. The word “six” springs to mind. But then so does “7”. What will it be, Mr Klopp? GOTP prediction: Liverpool 3 Real Madrid 2. The Scousers would become even more unbearable if they won it though…. Previous Entry Nations League – do we really need it? Next Entry Great Reputations: Torino 1940s – just how good were they?